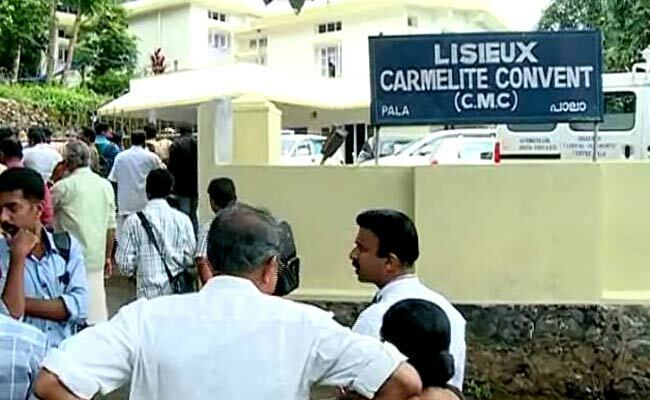 Thiruvananthapuram: A nun was found dead in mysterious circumstances at a convent in Pala, in Kerala’s Kottayam district on Thursday morning. Police have immediately launched an investigation. The Pala diocese of the Catholic Church, however, refused to comment, stating that the investigation process was under way. The incident was reported from the Lisieux Convent in Pala, a town where majority of the people are Catholics. The nun was identified as Amala (69). Early reports indicate that a deep gash on her head may have caused the death. There is suspicion that it could be a murder, or even an accidental fall, but no clear indications have emerged from the investigating authorities. Sister Amala had been unwell for the past few days, and had not attended the morning Mass. It was when others came looking for her when she was missing for Mass that the incident came to light. Two of Sr Amala’s siblings are also nuns, and their family belongs to Ramapuram near Pala. The death of the nun has brought back memories in Kerala of the mysterious death of another Catholic nun, Sister Abhaya, who was found dead in the well in the compound of the St Pious X Convent at Kottayam in 1992. The death of Sr Abhaya hogged headlines for years together, and keeps hitting the headlines every time there is some new development with regard to the investigation. Sixteen years after the death of Sr Abhaya, two priests and a nun were arrested by the Central Bureau of Investigation. Earlier this year — 23 years after the nun’s death — the CBI submitted to the Kerala High Court that it could not trace additional records or old files regarding the Sister Abhaya case from the office of the sub divisional magistrate in Kottayam. Last month, a special court in Thiruvananthapuram ordered the CBI to state its stance on the petition to prosecute some police and government officials who have been accused of destroying evidence in the Sr Abhaya case.